FY March 2012 was the first year of “G PLAN 2013,” our medium-term business plan with “growth” as its keyword. During the year, we aimed to improve our business performance by focusing management resources in growth areas. Our operating environment remained challenging, with marked appreciation of the yen and the European debt crisis in addition to the impact of natural disasters such as the Great East Japan Earthquake and flooding in Thailand. The initiatives we forcefully promoted to achieve the targets of “G PLAN 2013” showed results, reflected in increased operating income despite a decrease in net sales due to the substantial impact of the strong yen. In the Business Technologies Business, three new color digital printing systems led results in the production print field, which we have positioned as a growth driver, and sales in this field exceeded ¥100 billion as we captured the top share of the global market. In OPS (Optimized Print Services), which we continued to systematically enhance as a growth sector of the office field, we substantially expanded the number of global major accounts, mainly in Europe and the United States, to which we provide office equipment management services, including Bayerische Motoren Werke AG (BMW) and the National Aeronautics and Space Administration (NASA). These results demonstrated the success of our strengthened sales organization, as our sales subsidiaries in Europe and the U.S achieved record high sales on a local currency basis. Sales also reached record highs in China and other emerging countries, as well as in Japan. In the Optics Business, both plain TAC films for LCD polarizers and VA-TAC films for increasing viewing angle performed steadily throughout the year as we leveraged the competitive advantage of the thin-film technologies that are one of Konica Minolta's strengths. As initiatives for future growth, we signed a global partnership agreement with Komori Corporation, a leading manufacturer of sheet-fed offset printers, to further expand our scale in the commercial printing area of the production print field. 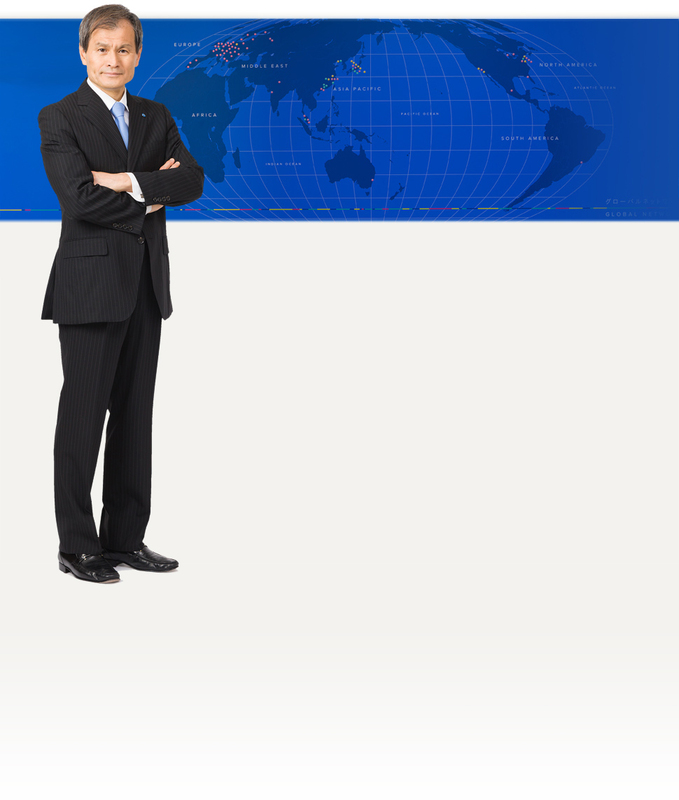 In addition, we acquired FedEx Kinko's Japan Co., Ltd. to strengthen the in-house printing field in Japan. We also acquired ten IT service providers in Europe and the United States as part of our efforts to expand our operations and capabilities in the IT services business. As these results show, it has been a favorable year, in which we not only achieved organic growth, but also enhanced our foundation for future growth through strategic alliances and M&A. This reaffirms my conviction that the basic policies of our strategy are on the right track. FY March 2013 is the middle year of “G PLAN 2013.” In addition to our ongoing efforts to make further headway in the production print field, which is a growth driver, we will work for further growth by prioritizing business expansion in emerging economies, which remained somewhat of an issue in FY March 2012, and the expansion of our IT service business operations. We have split the Optics Business into TAC film and optical divisions to concentrate our human and technological resources and will work to expand results over the medium-to-long term by accelerating the promotion of new businesses, including incorporating Organic Light Emitting Diodes (OLED) lighting and other new business themes in the TAC film field. To be a business group that can achieve sustained global growth, the Konica Minolta Group will continue to focus on a basic policy of “Achieving strong growth, expanding business scale,” realized by steadily and boldly advancing our initiatives for “Changing into a ‘Global Company’” and “Increasing the recognition of the Konica Minolta brand.” I would like to request your ongoing support as our shareholders and investors and your expectations of the Konica Minolta Group as we aim for strong growth. Advance our genre-top strategy to expand the scale of business in growth fields. Supplement the TAC films earnings base by establishing second and third earnings drivers. Change our business structure to achieve revenue sources in digital equipment and IT services.